We’re Committed To High-Quality HVAC Service! 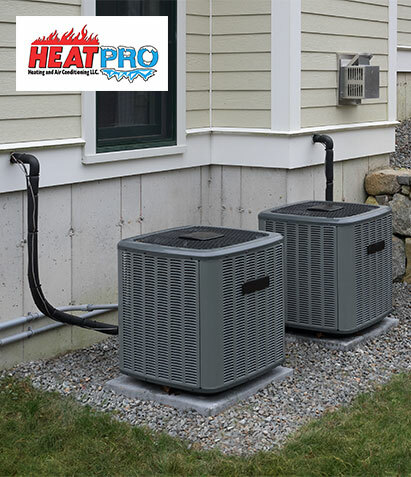 As heating and cooling experts, we pride ourselves on delivering the highest quality services available, at a fair and market competitive price. Through consistent professionalism, customer satisfaction, and dedication, we have set ourselves apart from others in the industry. Our team proudly services Inver Grove Heights, Farmington, Rosemount, Cannon Falls, Hampton, and Hastings. Some of our top services include new furnace installation, furnace repair, new air conditioner installation, air conditioner repair, and more! HeatPro is a certified local business, partnered with Xcel Energy, Centerpoint Energy, and Dakota Electric. More importantly, we provide the personalized service you deserve and will come to expect. Unlike our larger competitors, you will not only talk to the same person with each call but will know who is coming into your home. Our service professionals evaluate your specific needs and offer the best product for your money. Because your comfort and satisfaction is our top priority, we are available for emergency services. Our regular weekday hours are 7 am to 5 pm, we also offer free estimates.